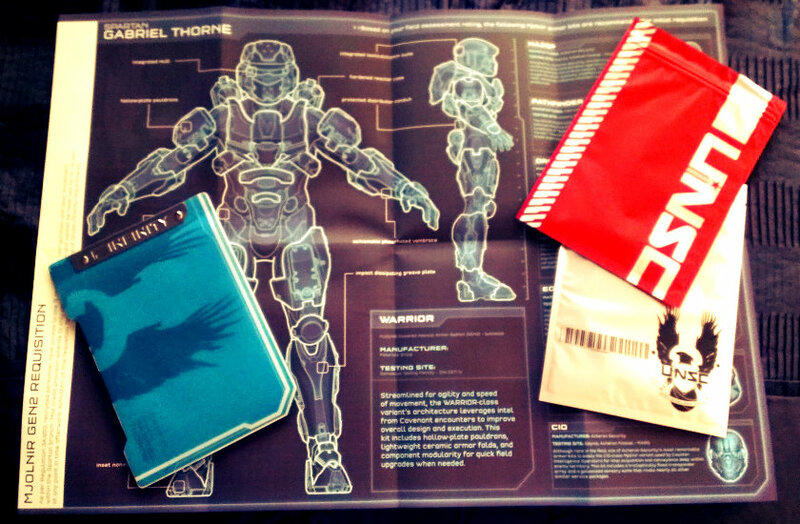 Halo 4 was released today, and of course I got myself some loot. I had preordered the Halo 4 Limited Edition Xbox 360 console as well as the Halo 4 Limited Edition game and waited at my local GameStop for a couple of hours to get these things at midnight. Yada, yada, yada. Stuff was bought and I took some lovely photos that I would like to share with you all. 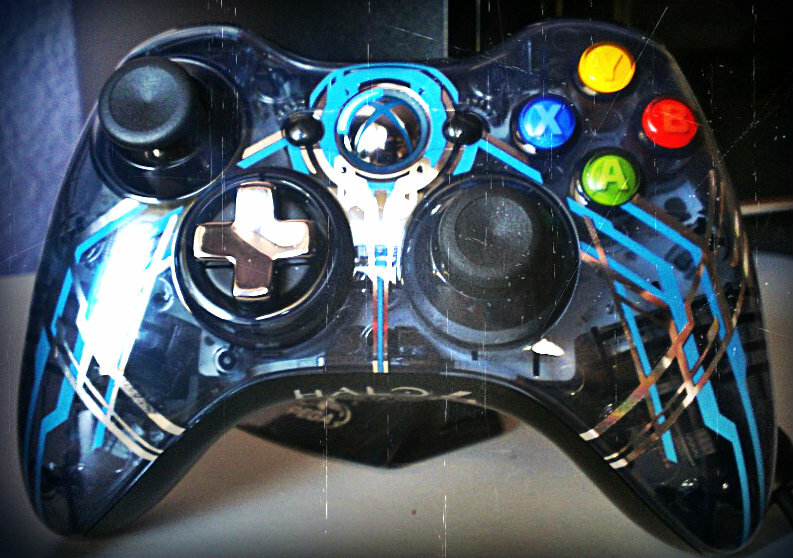 The Limited Edition Halo 4 Xbox 360 console is up first. 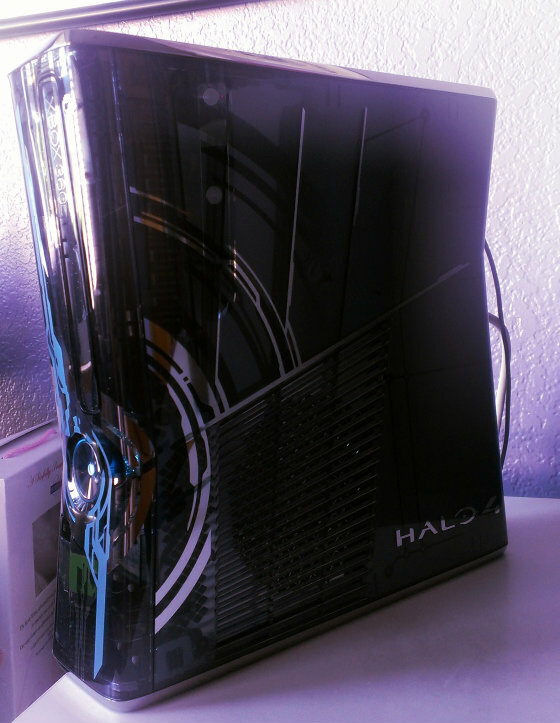 this bad boy came complete with one console (duh), two controllers, a 320GB harddrive, a copy of Halo 4, all the hookups, and a wired headset. The console and controllers match and as you can see they are unique. 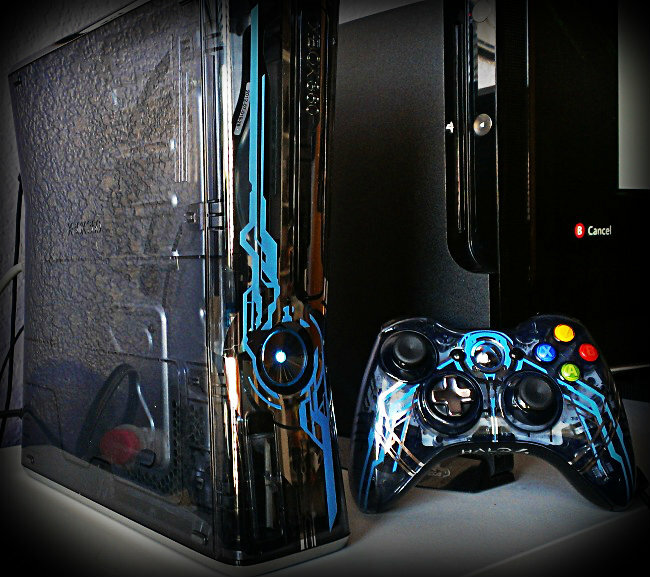 The console and controllers are all see-through plastic with blue LED’s (as opposed to standard green) and the console itself makes Halo 4 themed noises when the power button and/or disc tray button are touched. 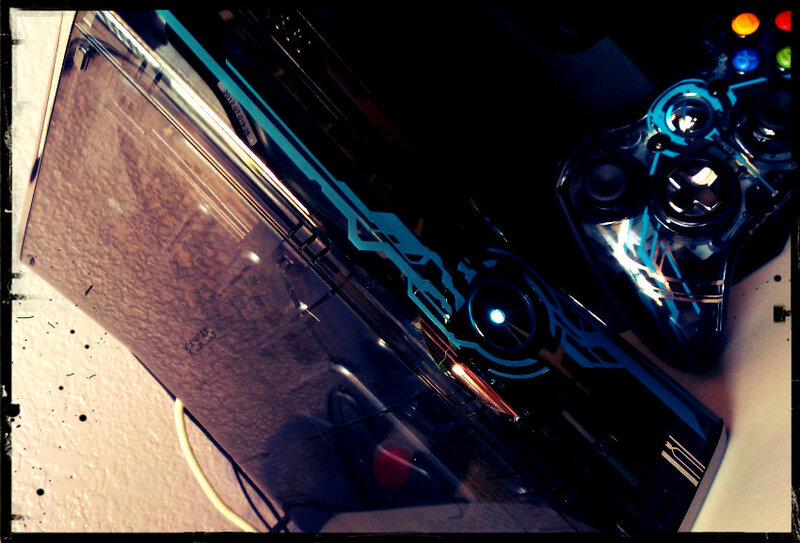 The pictures below seem to do it little justice, since this console is a work of art and is just stunning. 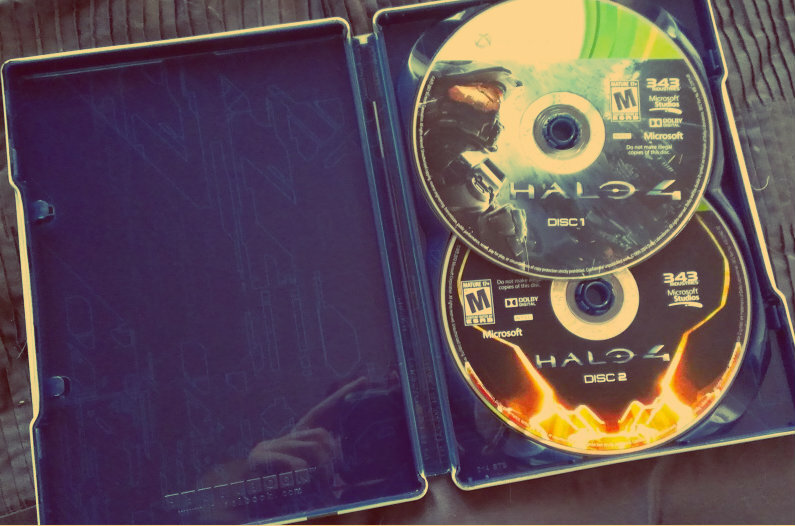 Next up is the Limited Edition Halo 4 game. 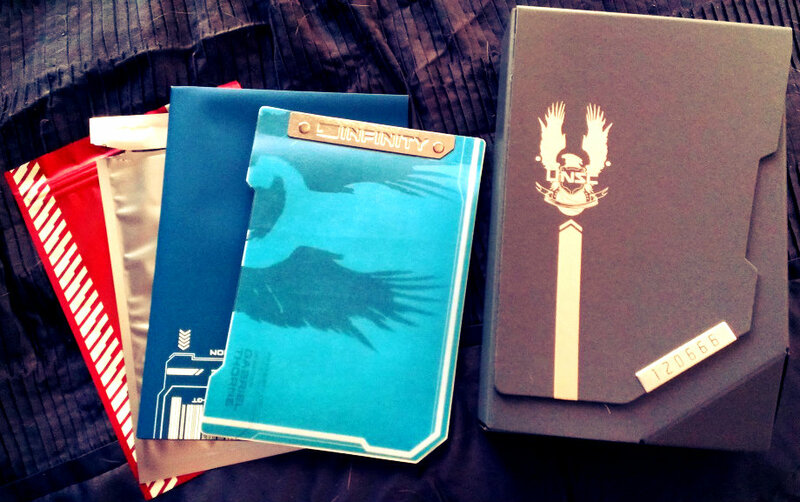 This came complete with a copy of the game in a collectors steelcase, the UNSC briefing packet, and loads of digital goodies. So lots of cool stuff. All of it was contained in a neat case that will look nice in my collection. Well, that’s that. I’ll be on the Xbox 360 (GT: LadyCroft3) so if you see me say hi! It’s been a few weeks since I’ve been on, so it’s nice to be back. 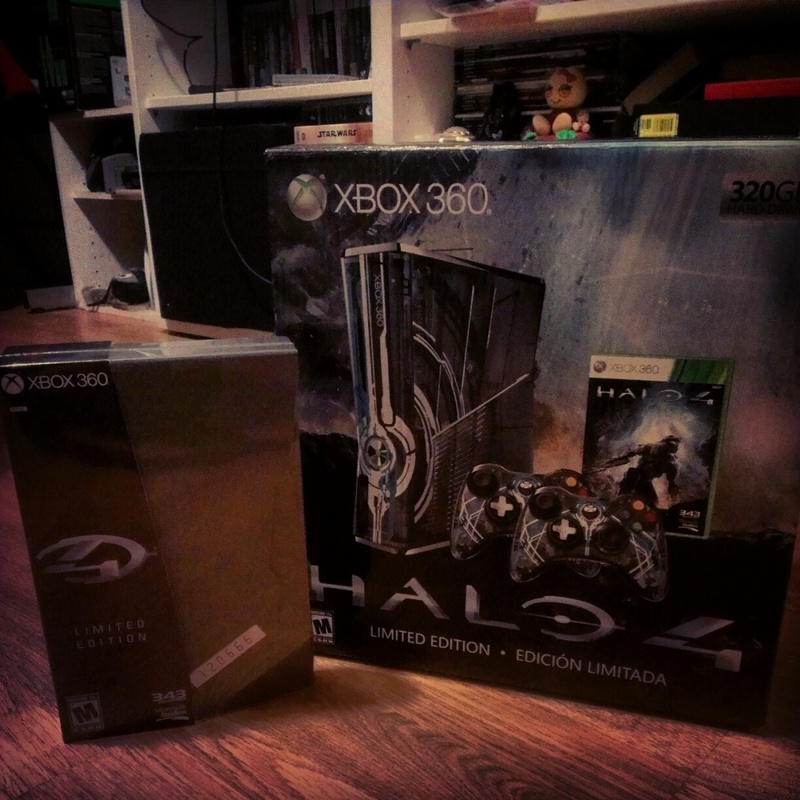 Game on my friends and I’ll see you on the Halo 4 battlefield. Wow that’s actually pretty cool. Still running the ‘big’ white xbox, so i’m jealous. But I’ve bought enough replacement Xbox 360s so as long as it runs I’m fine with it. I’m still on the fence about Halo 4. I haven’t played Halo since Halo 3/Wars. Will you be reviewing the game once you’re done? I’ve gotta say Lady, that is some cool looking gear. Especially the X-Box 360! Thanks! It’s so totally awesome! I’m rolling in Jelly right now. Thank you! After a week I must say that this console is working much better than my other one so I guess it was time for a new one.